Senate Finance Committee chairman Orrin Hatch (R-Utah) gestures before a committee meeting on Nov. 15 in Washington, D.C.
On Christmas Day, The Salt Lake Tribune denounced Sen. Orrin Hatch's "utter lack of integrity" and called for him to end his 42-year career in the Senate. Hatch, in response, told the paper he was "grateful for this great Christmas honor." This year, before naming Hatch as the Utahn of the Year, the newspaper's editorial writers took pains to clarify that the honor is not necessarily an honor. "These things are often misunderstood. So, lest our readers, or the honoree himself, get the wrong impression, let us repeat the idea behind The Salt Lake Tribune's Utahn of the Year designation," the editorial says at the very start. " ... The Tribune has assigned the label to the Utahn who, over the past 12 months, has done the most. Has made the most news. Has had the biggest impact. For good or for ill."
"[His] part in the dramatic dismantling of the Bears Ears and Grand Staircase-Escalante national monuments." "His role as chairman of the Senate Finance Committee in passing a major overhaul of the nation's tax code." "His utter lack of integrity that rises from his unquenchable thirst for power." But the editorial is clearly opposed to the changes to two of Utah's national monuments, saying the reduction in size "has no constitutional, legal or environmental logic" and is "anti-environmental, anti-Native American and, yes, anti-business." And that last bullet point, well, speaks for itself. The editorial goes on to assert that if Hatch runs for office yet again, after previously promising to step down, it would amount to "a theft from the Utah electorate." 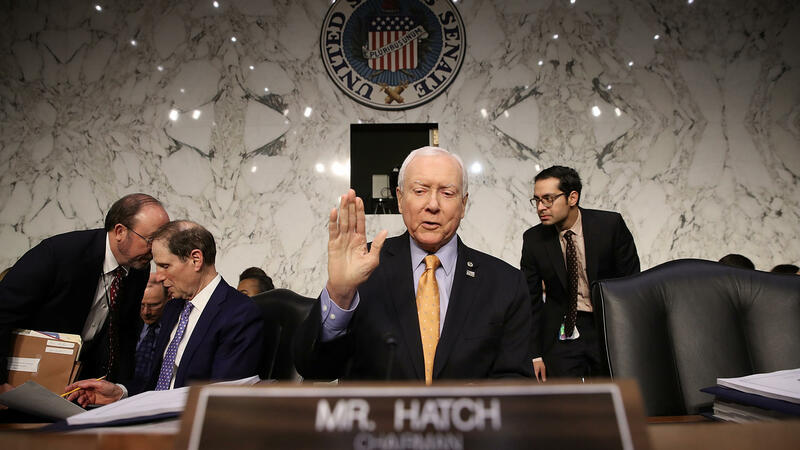 "It would be good for Utah if Hatch, having finally caught the Great White Whale of tax reform, were to call it a career," the editorial says. "If he doesn't, the voters should end it for him." Hatch did not acknowledge the criticism — or the call for him to vacate his seat and let someone else campaign for office — in his response to the paper on Twitter. He thanked the paper for the honor while noting that he had personally voted for other candidates, in the newspaper's unofficial reader poll. Incidentally: The winner of that poll, far and away, was a 13-year-old LGBT advocate who came out as a lesbian during a Mormon sacrament meeting. Spencer Cox, the lieutenant governor Hatch named as one of his picks, placed in the middle of the pack. Hatch himself was second-to-last, with 14 votes, and Rudy Gobert — his other choice — was dead last. Hatch's positive, light-hearted response to the announcement left some on Twitter wondering if he had actually read the editorial. Several hours later, he did implicitly nod to the substance of the editorial, pointing toward the paper's previous editorial in support of the tax bill.